This is an hidden gem. One of those fragrances that fly under the radar but should definitely deserve much more attention. Preludio D'Oriente moves in the same direction as other compositions a-la Avignon / Cardinal but where these two stay pretty linear in reproducing the liturgical frankincense, PDO is enriched by dark dry woods, leather and a tiny amount of oud. The opening is quite severe with a consistent incense note enhanced in its lemony aspect by astringent artemisia and citruses. Dry woods and leather join the party right away turning the fragrance into a darker and misterious composition that continuely moves on the thin line bewteen harshness and warmness while manitaining a perfect balance. Oud is subtle, toned down, restrained and used just to give some extra boldness to this marvellous composition. Severe, dark and misterious. Top quality stuff! This is not a bad one. It's quite ok, actually, but unfortunately is by Mark Buxton.I don't understand why some perfumeurs deliver better fragrances when they work for other brands instead of their own. When I think of Mr Buxton what comes to my mind is Comme Des Garcons 2, or the original Comme Des Garcons, or Ouarzazate, or CDG White. Masterpieces! Around midnight is a smoky, dark and minimalistic frankincense sfragrance (even if incense it's not listed among the notes). It's quite ok, if you don't know any better. Sillage is barely acceptable, lasting power no more than 2-3 hours. 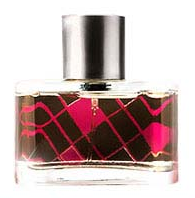 Perfumes form people that really knows how to make them! Incense Extreme is an extremely solid composition. Modern, consistent and elegant but at the same time descreet (expecially during the drydown). One of the most minimal incense creations yet among the most versatile. If you ever thought that Avignon was one of the most realistic "churchy" incenses, then try this one. 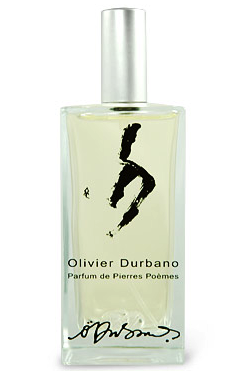 The opening is breathtaking with a blast of pungent frankincense and petit grain surrounded by a remarkable woody vibe. Dry, almost harsh (cedar), but magistrally orchestrated to result incredibly likeable. Green undertones paired off with coniferous hints add depth and charme.The drydown it's somehow "lighter", comfortable and close to the skin and it's when the Tauer's signature becomes unmistakeable. 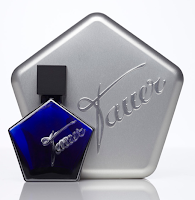 I still found Avignon to be much more original and emotional but Tauer's take on straight forward frankincense is surely a winner. Recommended. 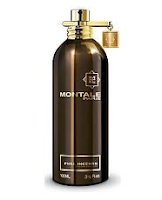 Montale goes Comme Des Garcons. Bolder than Avignon and slightly less minimalistic but still too literal. A rip-off. MB03 smells good but we really needed another one like Avignon, Around Midnight, Cardinal? This is a good, dark church-y incense but, unfortunately, it's really too similar to the ones I mentioned which are cheaper and much easier to find. Among the Avignon rip-offs the Durbano is probably the most original (which is an euphemism to say that is slightly less literal). The typical church-y cedarwood/incense accord is joined by some spices and other woody notes and it's paired to the usual balmy, sort of synthetic Durbano's signature. Nice but forgettable. This is a real alternative to seminal scents like Avignon or Incense Extreme. 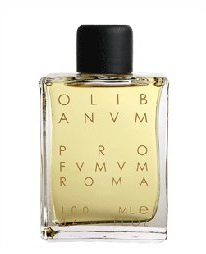 Olibanum is great if you like smoky incense based fragrances but it's quite different form the well known antagonists. Together with the usual liturgic vibe Profumum introduced a sealing wax effect that make Olibanum irresistible. While the opening is still quite severe and chilling, the drydown turns dry-and-warm, meditative and comfortable. A terrific woody-green take on the main theme. Highly recommended!